Hiro Hamada, a fourteen year old and an expert robot builder, gets crazy about “bot fights”, fighting with robots. His brother, Tadashi Hamada, takes him to the Nerd Laboratory in the University, and shows the work of his nerd friends. Hiro gets stunned by the projects that Tadashi’s friends were working on. Finally, Tadashi shows Hiro the project he has been working on. He introduces Baymax, the healthcare robot, who can identify emotions, pains and feelings, and keep people away from danger. Hiro loves all these projects! Hiro gets convinced that he somehow has to enter the University, and asks his brother the procedure. Tadashi explains to Hiro that to join the University, he would have to create something really awesome and display it in the exhibition while Callaghan is there. Hiro thinks he can easily do that, but his mind is dry of ideas. Tadashi helps his brother, at that point, by literally “shaking him up” and asking him to “see in a new angle”. Just then, Hiro gets a brilliant idea. Tadashi and his friends also help Hiro gain confidence and prepare him to go on stage. The big day arrives. Hiro goes up on stage and presents his idea about “microbots”, tiny robots that work through the controller’s thoughts. Hiro’s idea becomes a huge hit, and a man named Krei pushes Hiro to sell it to him. But Hiro refuses. He gets selected to go to the University. As they all celebrate, a fire breaks in when Callaghan is still in. Tadashi rushes in to save him, but the whole thing bursts into flames. People mourn for Tadashi and Professor. Hiro gets depressed, and doesn’t go to the University even after the classes start. One day, while he takes he accidentally drops something on his toe, Baymax emerges from Tadashi’s room after hearing a cry of pain! Baymax attends to Hiro, and tries to improve his emotional status. While all this happens, Hiro finds out that somebody is misusing the microbots! Hiro and Baymax find out that a masked man is doing so! Tadashi’s friends join Hiro to catch the man. They learn, to their shock, that it is Callaghan, the man whom they thought was dead! Together, Hiro and Baymax, along with Tadashi’s friends from Nerd lab, catch Callaghan, find out the cause and solve the problem! They become the Big Hero 6! I loved the movie! It was F-A-N-T-A-S-T-I-C! Actually, none of the characters are evil, and there is no real villain! The characters are totally lovable, and huggable! I loved Baymax, Fred(one of Tadashi’s friends), Tadashi and of course Hiro. They are all cool. The climax was really awesome. 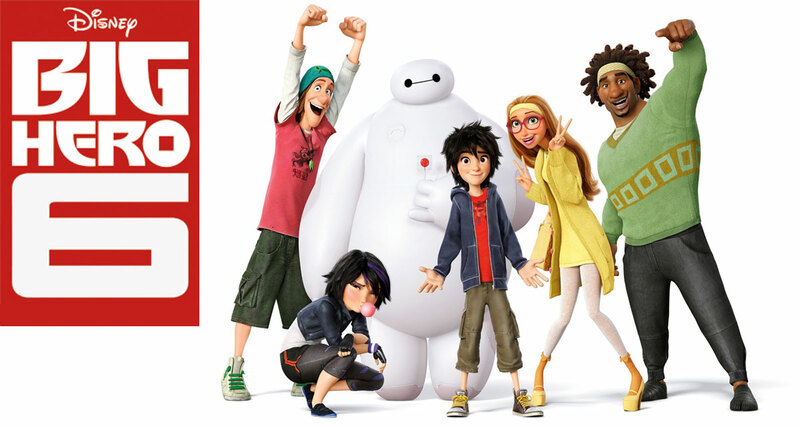 Big Hero 6 is a movie that is a must-watch!